Vision Exam Coverage: Your vision insurance (e.g., VSP, EyeMed, and Superior) is intended to provide you with a baseline eye evaluation and to update your glasses prescription. If your doctor discovers a medical eye problem during a routine vision exam, the doctor will discuss your options with you. If there is a problem that requires immediate attention, the doctor will inform you that your visit is now a medical exam and will be billed to your medical insurance. If the problem does not require immediate attention, you can choose to finish the routine vision exam and return at a later date for the medical exam. 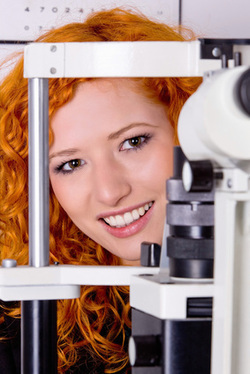 Medical Eye Exam Coverage: If you have a medical eye condition (e.g., cataracts, diabetic retinopathy, macular degeneration, glaucoma, dry eyes, and cornea problems) this examination will be billed to your medical insurance. Patient Responsibilities: Many insurance companies will not pay for a routine vision exam without separate vision coverage. It is your responsibility to check with your insurance company for proper coverage and to let us know before your eye examination. Please understand that each patient’s insurance coverage varies and that Medical & Surgical Eye Specialists cannot be held responsible for knowing every patient’s coverage.